On June 22, Governor Jerry Brown signed the state budget for fiscal year 2018-19, which contains a new line item for UC ANR within the UCOP budget. UC ANR will have the same amount of funding from the state for the upcoming year as we had this year. While we appreciate that ANR did not suffer additional cuts, we still need to deal with unfunded obligations of $4 million to $5 million. This results from the UC system getting an increase of 3 percent in the coming fiscal year, which will cause increases in salaries and benefits. We are slowing down hiring of UC Cooperative Extension (UCCE) advisors & specialists throughout the state. Statewide programs are developing additional cuts to already reduced budgets. UC ANR Research and Extension Centers (RECs) are reducing the subsidy that has been provided for research projects at the RECs. Our priority during this process is to keep UCCE advisors in the field and minimize harm to program delivery. We are fortunate that recent work on administrative efficiencies has provided some savings that we can utilize for our programs and UCCE mission. Anthony Fulford joined UCCE on June 18 as an area nutrient management/soil quality advisor in Stanislaus, Merced and San Joaquin counties. Prior to joining UCCE, he studied on soil health testing and nutrient management practices for corn, soybeans, and wheat grown in Ohio as a postdoctoral researcher at The Ohio State University. Fulford studied soil fertility of rice cropping systems at the University of Arkansas where he evaluated nitrogen soil testing, nitrogen use efficiency and greenhouse gas emissions in the mid-South. His research has been focused on identifying rapid and affordable soil health measurements to better predict organic nitrogen supply to plants. He has worked closely with growers and extension educators to conduct research on nutrient management and soil health and has led demonstrations and discussions at soil health workshops. Fulford received a Ph.D. in soil fertility from University of Arkansas, a M.S. in soil science from Southern Illinois University, and a B.S. in forestry from Colorado State University. Fulford is based in Modesto and can be reached at (209) 525-6800 and amfulford@ucanr.edu. 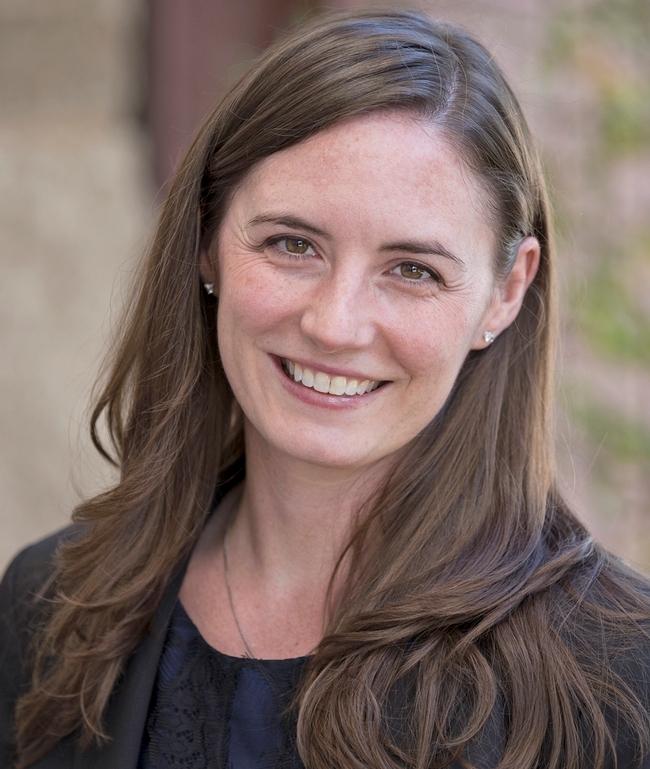 Anne Megaro has been appointed to serve as interim director of Strategic Communications in addition to her current role as director of government and community relations. She will assume this role until the Strategic Communications position is filled. During the transition, Liz Sizensky and Pam Kan-Rice will share project management responsibilities and Cynthia Kintigh will oversee content migration to the new website design. For assistance with publicizing the impact of your work, you are welcome, as always, to contact Jeannette Warnert, Ricardo Vela or Kan-Rice directly. Megaro can be reached at (530) 750-1218 and ammegaro@ucanr.edu. Strategic Communications staff contact information is listed at http://ucanr.edu/sites/anrstaff/Administration/Associate_Vice_President_for_Academic_Programs_and_Strategic_Initiatives/csit/staff. From left, Alec Gerry, president of the Pacific Branch of the Entomological Society of America Brad Higbee and David Haviland. 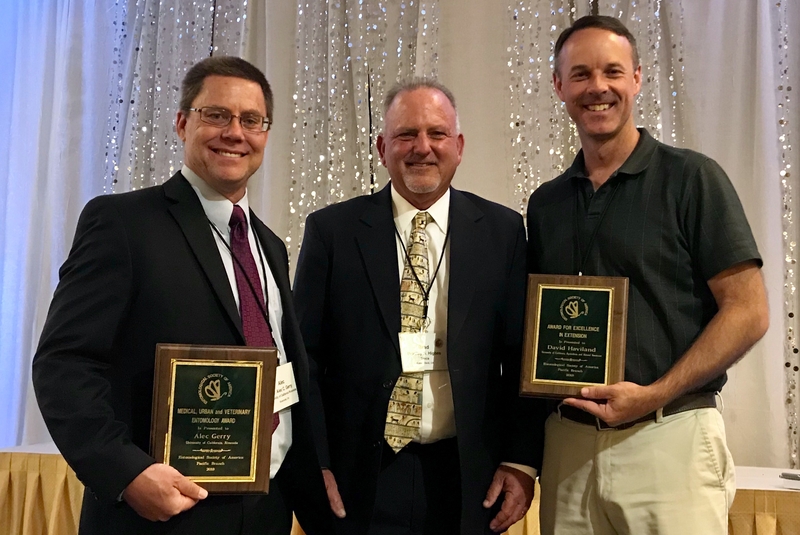 Alec Gerry, UC Cooperative Extension Specialist and UC Riverside Professor of Veterinary Entomology, and David Haviland, UC Cooperative Extension advisor in Kern County, recently received awards from the Pacific Branch of the Entomological Society of America. Gerry, who created a website https://www.veterinaryentomology.org to help producers identify pests and search lists of pesticides registered for veterinary pests, received the 2018 Medical, Urban and Veterinary Entomology Award. Haviland, who delivers presentations in Spanish as well as English, received the 2018 Excellence in Extension award. The awards were presented June 12 at the Pacific Branch Entomological Society of America meeting in Reno. 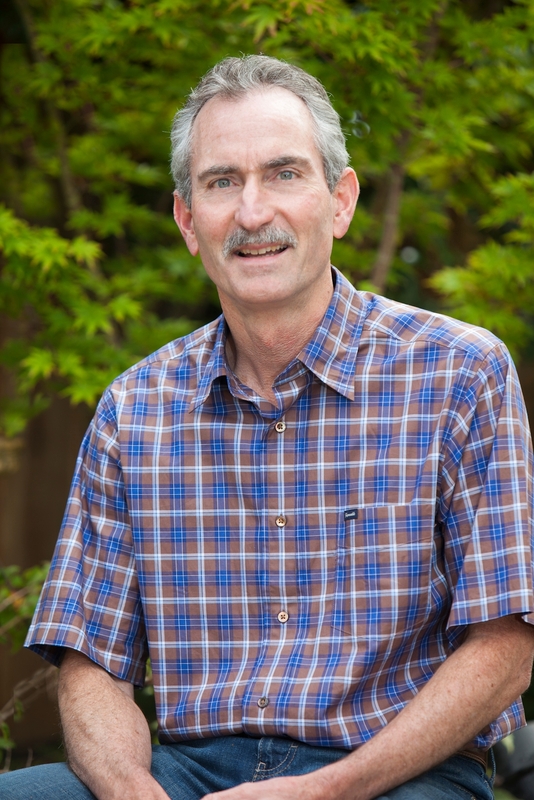 Frank G. Zalom, distinguished professor in the Department of Entomology and Nematology at UC Davis, will be the next editor-in-chief of the Journal of Economic Entomology, the largest of the Entomological Society of America's family of scientific journals. “Dr. Frank Zalom's career can be viewed as a model of applied entomology derived from an understanding of basic biology, and he is an ideal choice to be the new editor-in-chief of the Journal of Economic Entomology," said ESA President Michael Parrella. "His unparalleled and broad expertise will serve to continue the journal's growth as the publication of choice for applied entomological research and to build upon the legacy of Dr. John Trumble [professor of entomology at UC Riverside]." Zalom brings the experience of a 40-year career at the intersection of entomological research, teaching, and application. 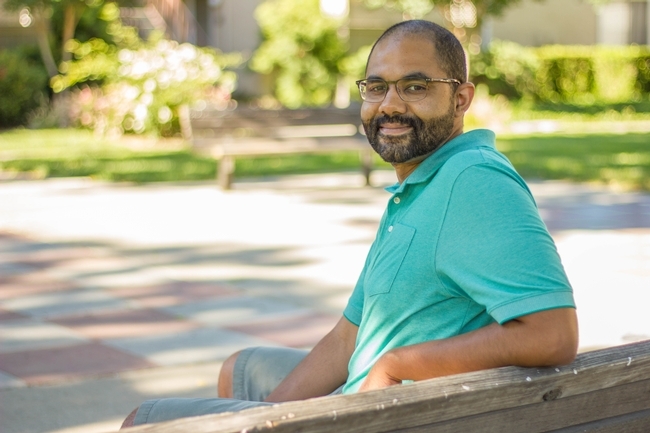 He served for 16 years as director of the UC Statewide Integrated Pest Management Program and is the only entomologist in the UC system to ever receive a simultaneous appointment in teaching, research, and extension. His primary research focus has been on integrated pest management of agricultural crops. "And we also express our deep gratitude to Dr. John Trumble, whose tireless work ethic and unerring leadership have driven JEE to such great success for so long," said Zhou. Zalom will take on a five-year term as editor-in-chief. As part of the University of California Office of the President restructuring effort, President Napolitano appointed an advisory committee to determine a set of recommendations regarding UC ANR. The committee has been asked to explore structural, funding and associated governance options that will best support UC ANR and the University of California. 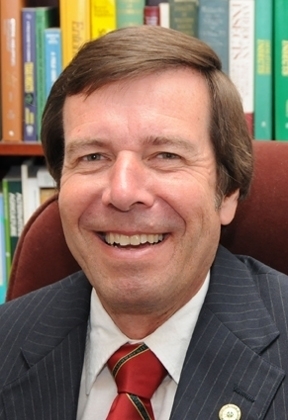 The committee is chaired by David Marshall, UC Santa Barbara executive vice chancellor, and consists of UC chancellors and deans, as well as representatives of the UC Board of Regents, UC Academic Senate, UC President's Advisory Commission on ANR, and the Executive President's Advisory Group. The advisory committee has met a few times and has received background materials on UC ANR, said VP Glenda Humiston. Future meetings will delve into how UC ANR allocates funds and prioritizes program delivery. The advisory committee will begin interviewing UC ANR stakeholders in the next few weeks. The advisory committee's goal is to bring final recommendations to the president and UC Board of Regents before the end of the year. 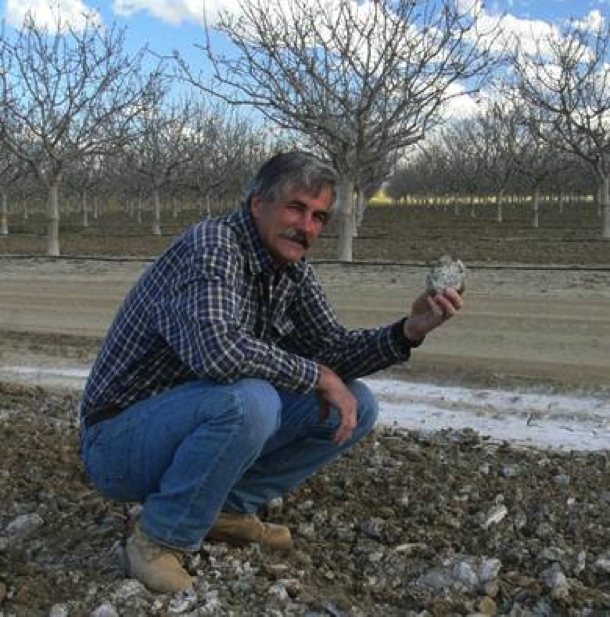 Blake Sanden developed salt tolerance thresholds for high-production California pistachios in the San Joaquin Valley. For 26 years, Blake Sanden has been the irrigation, soils and agronomy farm advisor with UC Cooperative Extension at the southern end of the San Joaquin Valley. Sanden retired from UCCE Kern County on July 1. Sanden has a bachelor's degree in international agricultural development and agronomy and master's degree in irrigation and drainage from UC Davis and 35 years of experience in California production ag, international ag development and extension. He developed salt tolerance thresholds for high-production California pistachios in the San Joaquin Valley, soil moisture monitoring techniques and irrigation efficiency assessment on 12,000 acres in Kern County and deficit irrigation in early citrus navel oranges. Over the last eight years, Sanden has fulfilled a vision that started nearly 30 years ago. Through collaboration with nearly 50 University of California researchers, farm advisors, extension specialists, the Wonderful Farming Company and almond industry representatives, he played a crucial role in increasing the precision of water and fertilizer application for optimal almond yield – increasing the statewide average yield by more than 50 percent. 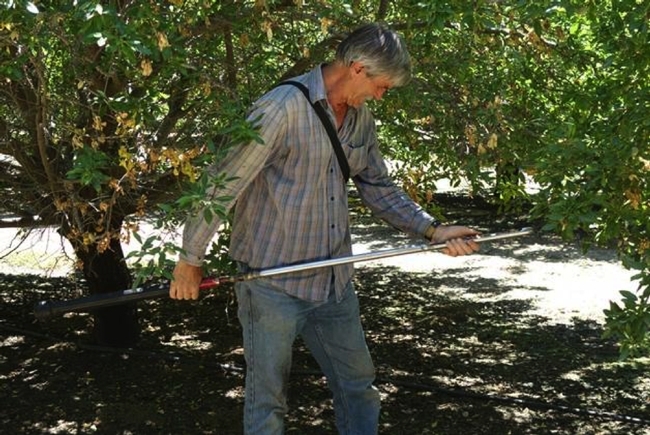 Sanden played a crucial role on the team that refined water and fertilizer application for optimal almond yield – increasing the statewide average yield by more than 50 percent. “With that two hours worth of field scouting, he probably made an extra $300,000 in the saved irrigation and increased sugar,” Blake said. In retirement, Tjosvold plans to start a UCNFA blog to help replace the loss of the UCNFA newsletter due to retirements. He will also be available locally for focused educational projects and consultation. Tjosvold, an avid fly fisherman, said he will spend the first month of his retirement camping and fly fishing in Montana.